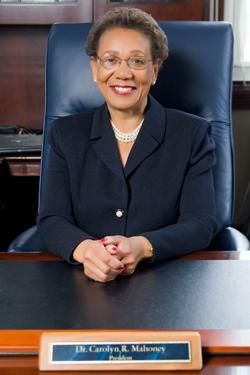 In a brief press release Tuesday, the Lincoln University Board of Curators announced that Dr. Carolyn R. Mahoney intends to retire from her position as President of the University on August 15th. The press release says a search committee for her replacement will be appointed immediately. According to the University's website, Mahoney has been President since February 2005. She's also a current Commissioner on the Midwestern Higher Education Compact.